Antigua and I'm just a yachty girl in a yachty world...ok, enough silly bubblegum pop references! But Anigua is clearly all about the boats! The Arawaks arrived by one, most likely paddling piragua canoes from Venuzuela. Christopher Columbus arrived from Spain by one 1493, and gave it it's name "Sancta Maria de la Antigua". Sir Christopher Codrington arrived by one, as did, unfortunately, the West African slaves who worked his sugar plantations. The British Navy arrived by boat during the 18th century and established the English Dockyard, where British vessels arrived for repair and maintenance. Today, that area is renamed Nelsons Dockyard (for the Admiral Horatio Nelson) and it still serves as a dockyard for yachts from all over the world, as well as an anchorage and race location for those same yachts. Boats are everywhere in Antigua. We arrived on this one! Dock workers headed to tie up the lines of Adventure of the Seas. Even the birds are names after boats- here a Frigate bird swoops along the aft of the ship as we sail in. Just outside the shopping area we met Keisha, of Sean's Antigua VIP Tours (Keisha is Sean's little sister- be sure to ask her about riding out a hurricane together after she and her brother convinced their mother to leave two adventure seeking teens behind, a great example of natural consequential parenting that I'm not sure I could have pulled off!) Our tour was all inclusive, with admissions and lunch as well as an on board bar, with local beers if you like. Our first stop is a sugar plantation ruin called Betty's Hope. It had a well curated little museum and descriptive plaques at each of the ruined buildings to explain the sugar making process. Did I say all about that goat, that goat!? No, I guess not, but at Bettys Hope the grass was kept short by a large herd of free range goats, but Keisha explained they were well cared for and if one went missing, the owner would know! We made a stop to the West End of the island, where a dramatic natural feature called "Devils Bridge" lies on a lands end, and the surf dramatically crashes up against this natural limestone bridge. The buildings in the dockyard have all been beautifully restored. The day we visited was in advance of Antigua Sail Week, and worker bees were busy putting the finishing touches on the party site, while the yacht's crews were varnishing, varnishing, varnishing! Beautifully restored Colonial era buildings in Nelsons Dockyard. There are several marine related business still in the dockyard. 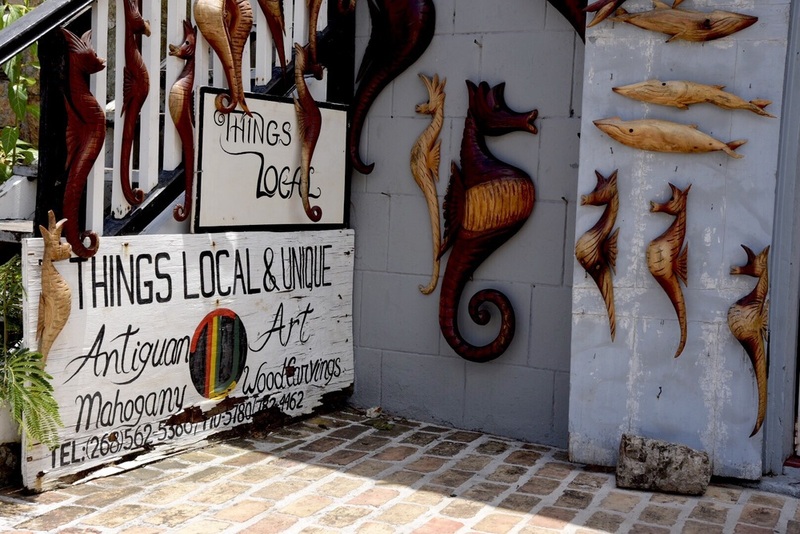 There are also a few local artists and shops, as well as restaurants and bars. 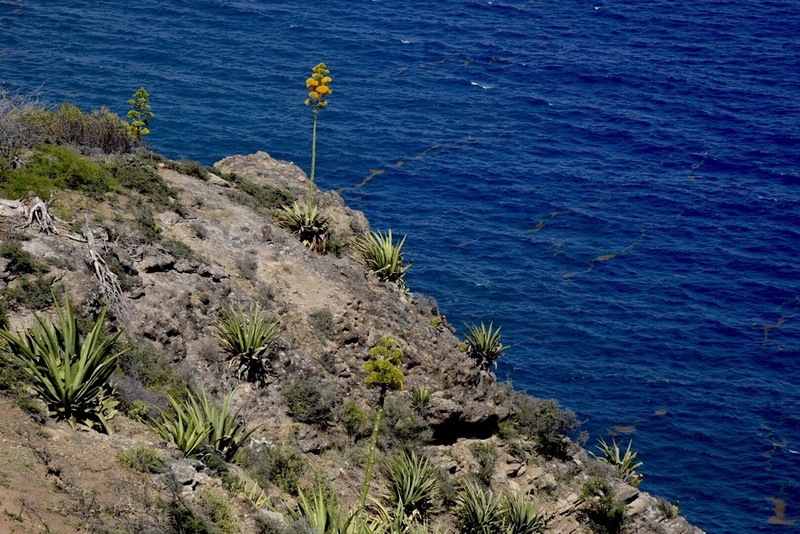 The National Park is intermingled with these businesses, including a nice museum with a time line of the Dockyard, a selection of silver racing trophies and lots of photos. 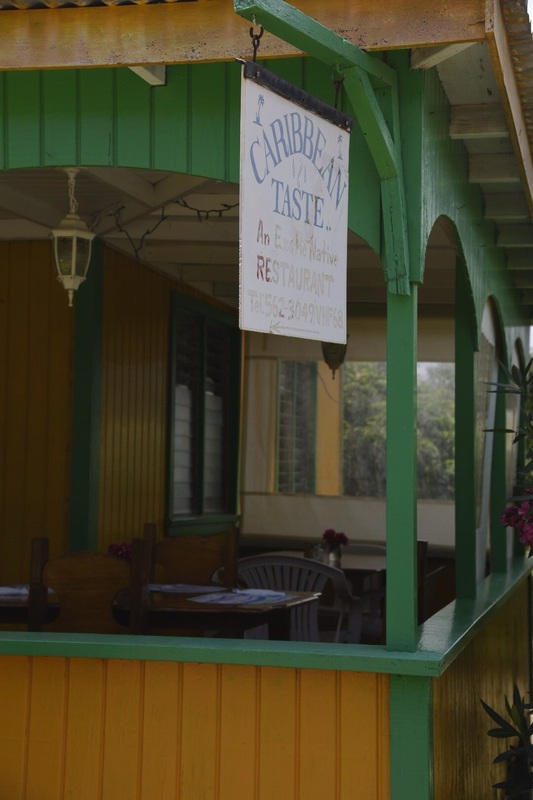 Our next stop was within walking distance of the Dockyard, but a business that is a world away, a local restaurant run out of a little home, called Caribbean Taste. Local specialties (and burgers for the less adventurous) are cooked in the kitchen and served out on the porch. We chose a variety of local specialties including curried conch, a cornmeal side called funge and a dense sweet potato and plantain side dish called ducana. After a tasty local lunch, (there is an option on this tour for a "tourist lunch" in a lookout spot with a view if you prefer) we made our way to Shirley Heights for a look at Eglish Harbor from above. After Shirely Heights, we drove along the "Fig Tree Road", which is the rainiest part of the island and more lush and green. Keisha took us to one of her favorite beaches on the East Coast of the island for a dip, before we had to head back to the ship, because if it's "all about that boat" - you certainly don't want to miss it!